Well, I finally got into Star Trek Online: Legacy of Romulus, after yesterday’s comedy of errors with molasses in winter like patching (despite my diligent background patch downloading the previous week) and unknown error login failures on launch day. Right from the Character Select Screen, pictured above, though, it’s been well worth the wait. 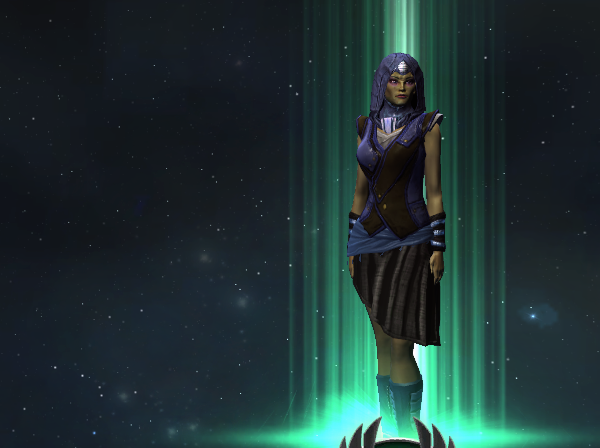 After jumping into my two existing characters, T’wani and Sin, for a little expansion house keeping and unlocking Remans as a playable race, I went right to Character Creation to roll both a Romulan and a Reman (though I’ll be sticking with the Reman as my main for this expansion). 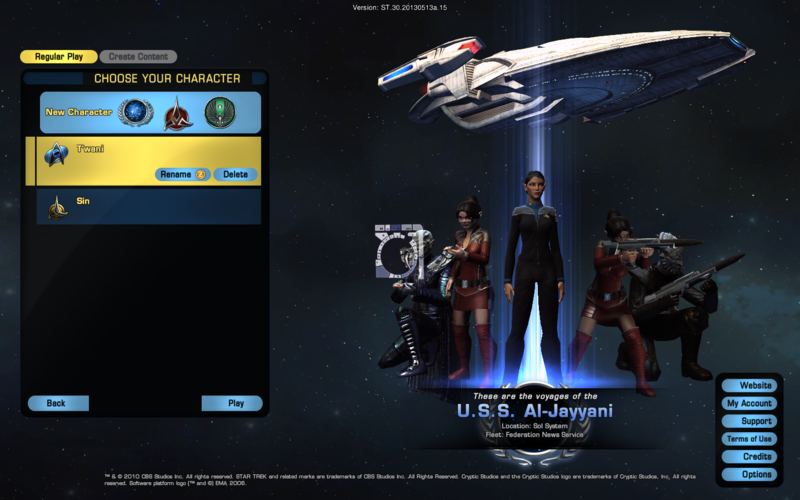 Character Creation is pretty much exactly the same as pre-expansion STO, with the new UI (which I love, by the way) overlaid. After about an hour of tweaking sliders, I was ready for my first mission on Virinat. Your question, I’m sure: Is one really tall, or the other really short? 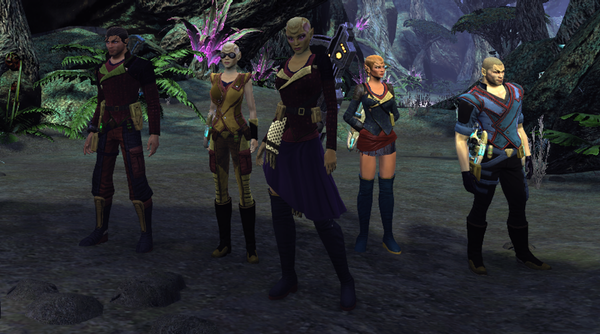 We ran around killing Tal Shiar, and then blew some up later in space, before finally meeting up at the Romulan Republic’s Flotilla. All throughout I noticed that the even the graphics, apart from the new UI, seem improved. It could just be a more vibrant color palette, but everything seemed crisper and cleaner. The introductory story is fun and compelling as well, and continues to be when you leave the Flotilla and venture into Sector Space aboard your first ship. MMOGamerChick and I parted ways at the Flotilla, which is probably good because that’s when I decided in favor of my new Reman over the Romulan I’d just been playing. Nothing against Romulans perse, but my Starfleet Captain is a Vulcan and (I guess I like a particular kind of facial structure), she looks an awful lot like my Romulan turned out. 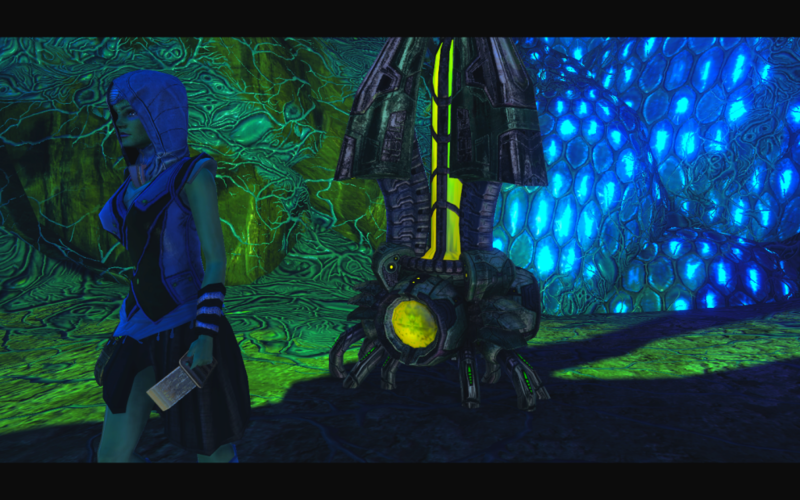 Plus, games like The Secret World have really killed the idea of alting in me. In any case, I pressed on with M’jras to the next few missions to start rounding out my first Bridge Crew. 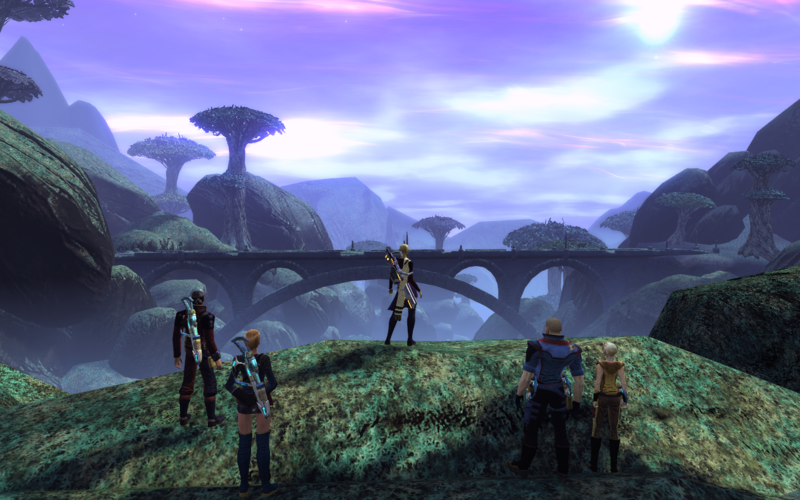 So far I am pleasantly surprised and very satisfied with Star Trek Online‘s first expansion, Legacy of Romulus. The missions I’ve gone through so far, to gather my first bridge crew and experience the first chapters of this new story, have been very engaging, entertaining, and have me really wanting to see what is going to happen next. The only reason I’m not playing now, and writing this article instead, is because the shard has been brought down for maintenance. 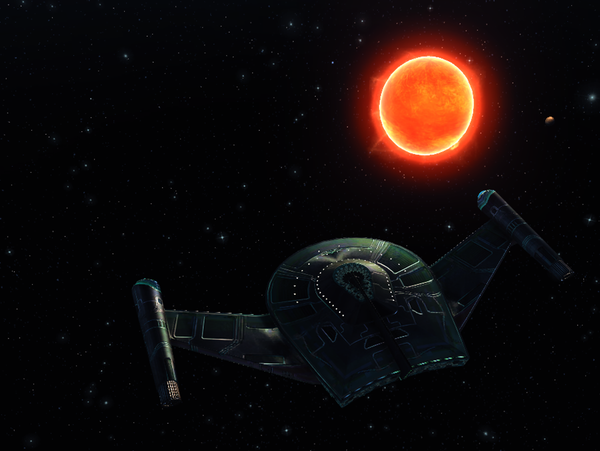 If you’ve played STO before, and set it aside, I highly recommend you come and take another look. If you’ve never played before, there’s no time like the present. Did I mention it’s entirely free?